Proteus Endotoxin Removal MIDI Kits contain pre-packed affinity resin columns with extremely high endotoxin binding capacity, to achieve endotoxin removal effectively and quickly. These high performance kits result in more than 95% Endotoxin Removal in one passage, and greater than 90% Protein Recovery. Proteus Endotoxin Removal MIDI Kits are available with different endotoxin binding capacities. Either kit can be used for samples with endotoxin loads less than 30,000 EU. 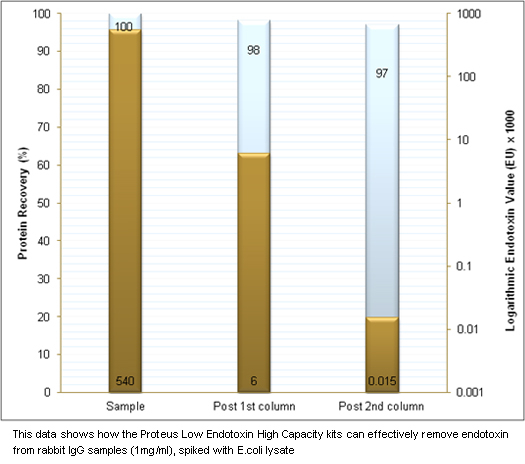 For samples with endotoxin loads less than 1,000,000 EU, high capacity columns are required. High Capacity or Standard Capacity Columns? 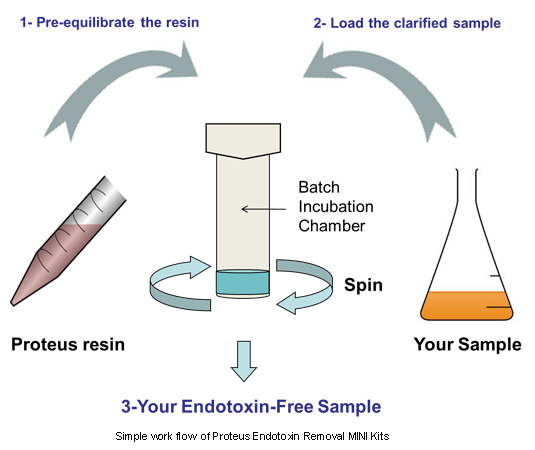 Proteus Endotoxin Removal MINI Kits are designed for small sample volumes and offer a standardized method for high grade removal of endotoxin from a broad spectrum of monoclonal antibodies and proteins. Proteus Endotoxin Removal MINI Kits incorporate a proprietary membrane technology, preventing any sample leaking into the collection tube or onto an orbital mixer.